“Are you one of those? They’re everywhere in Brighton aren’t they. I really enjoyed the opening half of new BBC police drama Cuffs and so whacked up a review of those four episodes whilst they were still watchable on the iPlayer. 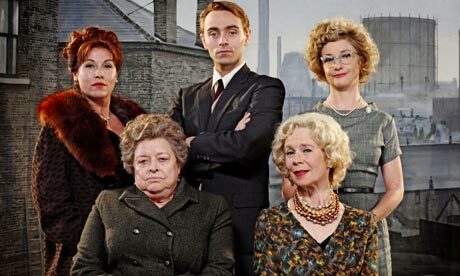 The show has now finished its run, 8 episodes being the default setting for a ‘long’ series here in the UK, and whilst it may have lost a little of the fast-paced energy that characterised its arrival, its bevy of boisterous characters ensured I was fully engaged right through to the end of the last episode. Rather incredibly, given the number of crime dramas there are, Cuffs is actually the BBC’s first police procedural since 2007’s Holby Blue (according to Wikipedia at least), but a rather good one it is too. 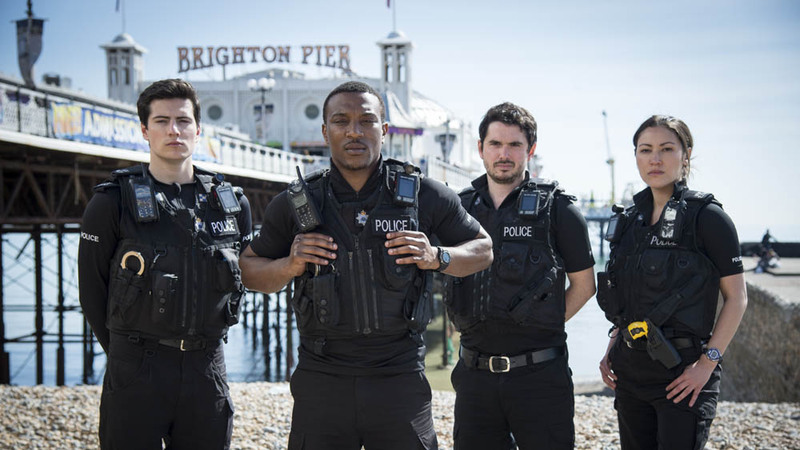 Creator Julie Gearey has set the show in Brighton and its environs, the territory of the South Sussex Police service, and the first four episodes (which entertained me on a train journey back from Amsterdam) started Cuffs off so strongly that I wanted to recommend it now whilst you can still catch them all on the iPlayer. For so long Michael Spence in Holby City, Hari Dhillon’s ventures onto the stage have been sparse indeed but it’s clear that he has high standards – Pulitzer Prize-winning plays about middle-class dinner parties. 2013 saw him take on Ayad Akthar’s Disgraced (2013 winner) for the Bush and then Broadway and now he stars in Donald Margulies’ Dinner With Friends (2000 winner) for the Park for director Tom Attenborough. Mr John from Julian Kerridge on Vimeo. A friend recommended Red Enters The Eye to me mainly because the too-long-absent-from-our-stages Siân Brooke was in it but she also knew it would be just my cup of tea, and she was right. 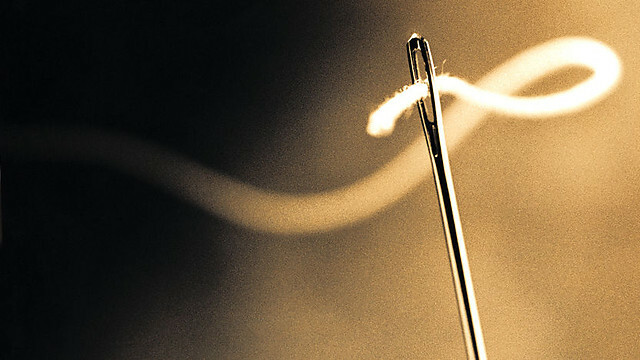 Jane Rogers’ 2011 radio drama follows the story of Brooke’s idealistic Julie, a volunteer heading to a women’s refuge in Nigeria to teach sewing classes. From nervous beginnings as the strict manager Fran – Penny Downie donning an Aussie accent – outlines all the rules and regulations, Julie soon makes a huge success of the classes, revelling in their popularity, the way the women respond to her work and the potential opportunities that open up as they realise the marketability of these new-found skills. But her untempered enthusiasm fails to take into account the gravity of the situation in which these women have found themselves, so that they were forced to seek refuge. Rogers carefully threads in a necessarily weighty level of detail about the various threats that women face in this part of the world, explaining also how the volatile socio-religious situation has a huge part to play in Nigeria. But it is never heavy-handed and instead emerges as a sensitive and thoughtful piece of drama which I’d heartily recommend. Brooke is excellent as the breathlessly naïve volunteer, Downie grimly pragmatic as Fran and there’s also great work from Adjoa Andoh as her partner and Demi Oyediran as Sarah, one of the women in the refuge. Written by Alistair McGowan, Three Pieces in the Shape of a Pear also sees him taking on the lead role of French composer Eric Satie. Probably best known for his Gymnopedies, Satie was actually one more innovative than one might have given him credit for, pushing creative boundaries and challenging the establishment. But he was an eccentric figure with it and McGowan has focused on the three most pivotal people in his life and how they were able to see through his peculiarities and peccadilloes to the man within, even if only for a brief while. It’s an engaging, if somewhat slight, piece of writing, but one which is full of genuine affection and respect for its subject. From the seemingly ridiculous quirks – at one point, he will only eat purely white food – comes the beginnings of an artistic movement, from hopeless infatuation with a singer comes a fruitful creative partnership. McGowan bubbles gently as the composer and swirling around him Nathaniel Parker’s friendly rival Debussy, Imogen Stubbs’ Suzanne and Charlotte Page’s Paulette are all charming as the significant trio. And last up was Rachel Joyce’s Feather, recommended to me as Claire Price formed part of the voice cast. A delicately beautiful tale narrated by Maisie Cowell’s Fern, it’s an acutely observed child’s-eye view of the separation of a couple and the tug of war that ensures over their daughter. It’s a disarmingly effective technique of probing human behaviour as each parent starts to bring a new partner into their life whilst sussing out what is going on with their ex, all the while Fern finds herself in the middle, collecting enough feathers so that she can make the biggest wish in her life. She believes in magic you see, and that feathers can grant you wishes, but Joyce’s drama is rooted entirely in the messiness of real life, the pain of broken homes and broken relationships and the difficulties in starting over again. It’s beautifully acted by Cowell, heart-breakingly so at times, and Claire Price and Jot Davies as the warring exes, trying not to manipulate their daughter ‘too’ much are both strong, along with Shaun Dooley as the kindly Finn, who offers hope to both mother and child. Despite being relevant to my interests on a number of levels (David Dawson, I’m northern, and the rest of that cast! 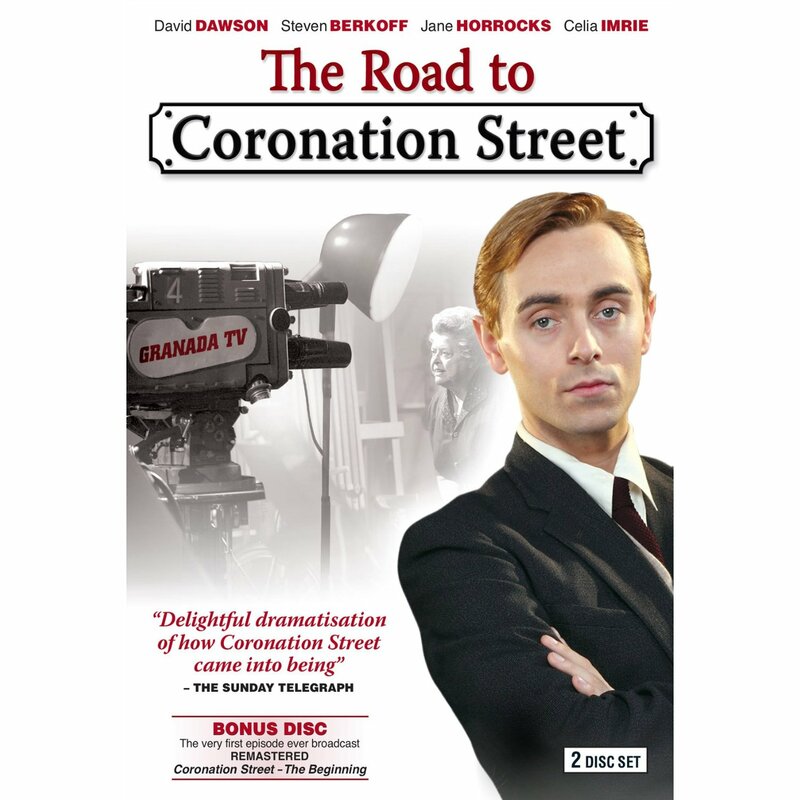 ), The Road to Coronation Street managed to slip by me when it was first broadcast on BBC4 in 2010. Though a long term fixture on ITV (this drama celebrated the 50th anniversary of the soap opera), it was the BBC that took up the reins of creating this origin story for the show, a journey that partly reflects that of its writer Daran Little, who worked on Coronation Street for many years as an archivist but is now a screenwriter for Eastenders, long its traditional rival. But oddities aside, it was a frenetic, energetic romp that I found highly engaging and found it to be over far too soon with its scant 75 minutes-long running time. 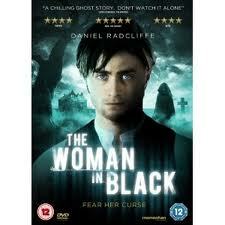 For his first major post-Harry Potter film outing, Daniel Radcliffe went for this adaptation of Susan Hill’s bestseller The Woman In Black, directed by James Watkins. 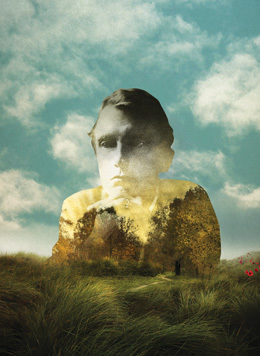 An Edwardian ghost story, widowed father Arthur Kipps’ is tasked with closing up the account of Eel Marsh House, an isolated manor in the fens, but on his arrival he finds the locals unwilling to help, strange goings-on all around him and a haunted house to shake even the most resolute of sceptics.